The Elliott Museum and Helping People Succeed are partnering for a unique exhibit: from October 1-November 17, the Museum will show thirteen original works of art selected for the prestigious 2017 Art for Living Calendar. Proceeds from the calendar, which has been printed every year since 1999, will benefit HPS’s various programs. Artists are selected based on work they have submitted. The exhibition is part of the Museum’s Art Down the Hall program, which is designed to highlight the work of local artists. The HPS Calendar Art Exhibit is included with regular Museum admission. For more information on the HPS Calendar Art Exhibit, call 772-225-1961, or email Robin Lee Makowski at RMakowski@elliottmuseum.org. The Museum is located at 825 N.E. Ocean Boulevard in Stuart. Hours are 10 a.m.-5 p.m. daily. Visit www.elliottmuseum.org. 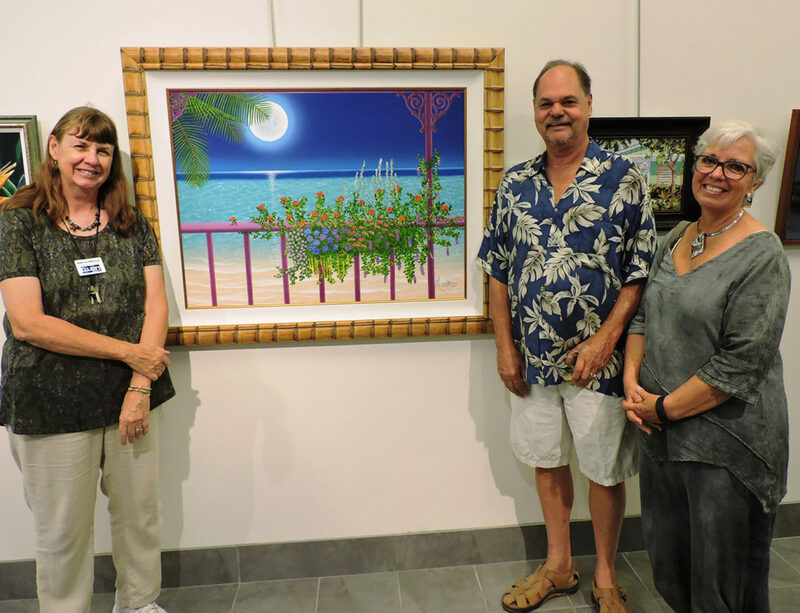 Photo: Robin Lee Makowski of the Elliott Museum and artists Dan Mackin and Karen Leffell-Massengill display Mackin’s painting for the 2017 HPS Art for Living Calendar.